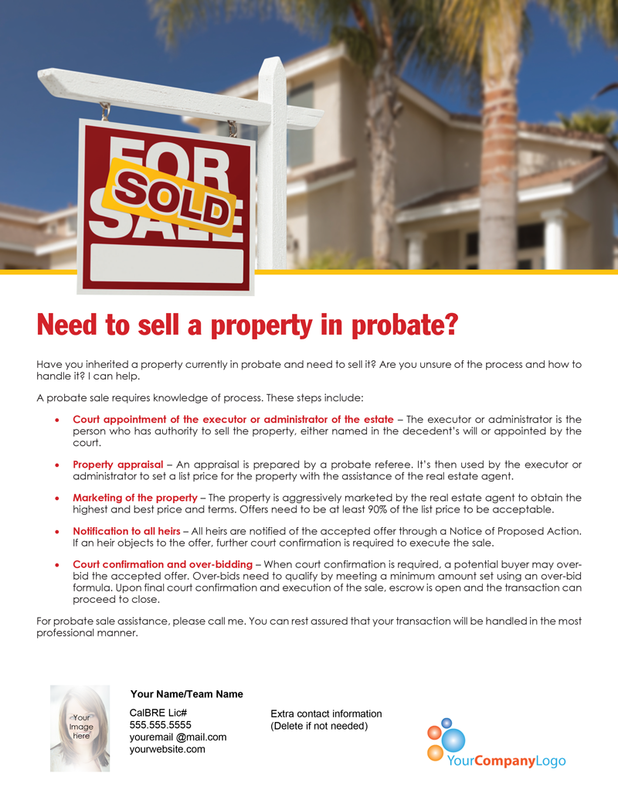 Have you inherited a property currently in probate and need to sell it? Are you unsure of the process and how to handle it? I can help. Court appointment of the executor or administrator of the estate – The executor or administrator is the person who has authority to sell the property, either named in the decedent’s will or appointed by the court. 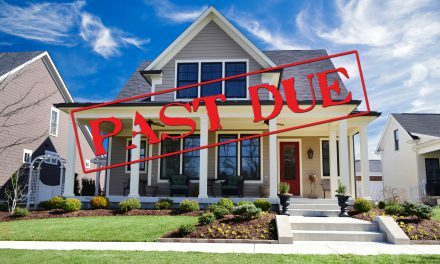 Property appraisal – An appraisal is prepared by a probate referee. It’s then used by the executor or administrator to set a list price for the property with the assistance of the real estate agent. Marketing of the property – The property is aggressively marketed by the real estate agent to obtain the highest and best price and terms. Offers need to be at least 90% of the list price to be acceptable. Notification to all heirs – All heirs are notified of the accepted offer through a Notice of Proposed Action. If an heir objects to the offer, further court confirmation is required to execute the sale. Court confirmation and over-bidding – When court confirmation is required, a potential buyer may over-bid the accepted offer. Over-bids need to qualify by meeting a minimum amount set using an over-bid formula. Upon final court confirmation and execution of the sale, escrow is open and the transaction can proceed to close. 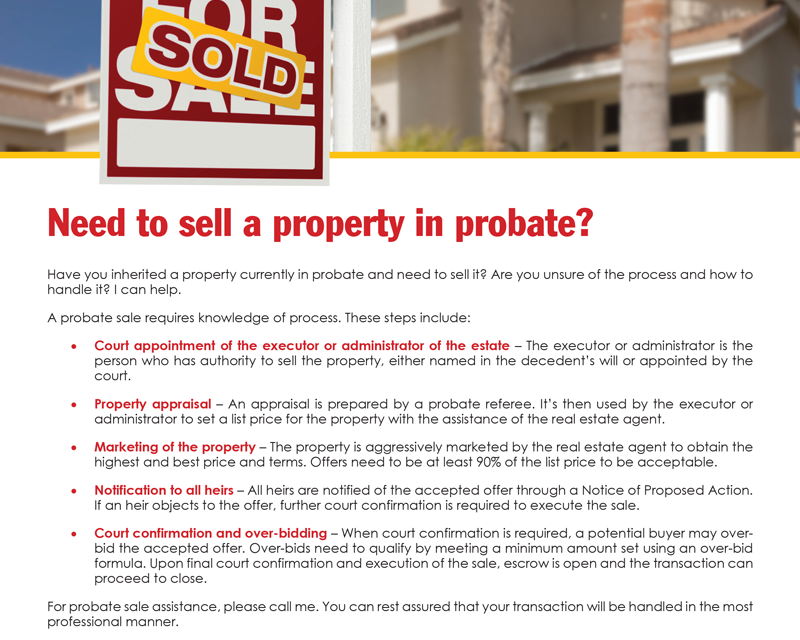 For probate sale assistance, please call me. 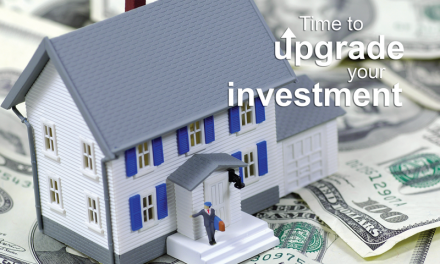 You can rest assured that your transaction will be handled in the most professional manner. 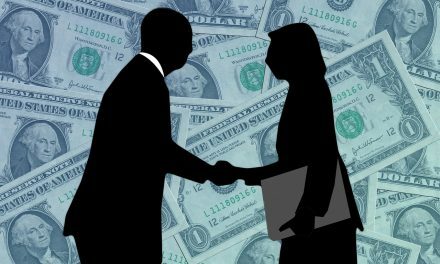 NextClient Q&A: What duties does my buyer’s agent owe me?